Two stories were announced for the unpublished March 1934 issue. Seems more like a one-off pulp format anthology selecting from pages of Liberty. A 64-page, comic-book size modern-day pulp magazine which featured fiction, art and comic strips by the greatest talents in the mystery, crime fiction and comics fields. Alpha Productions: Noir: The Illustrated Crime Fiction Quarterly, Win 1994. 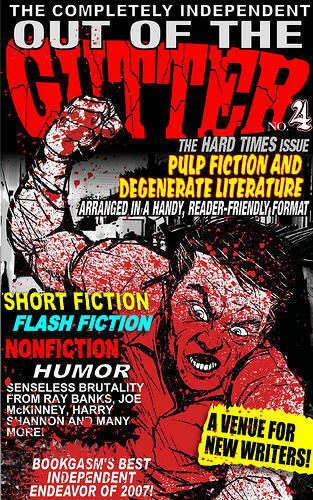 Creative Force Productions: Noir: The Illustrated Crime Fiction Quarterly, Spr 1995  Fll 1995. Details supplied by Victor Berch. Details supplied by Steven Slutsky. 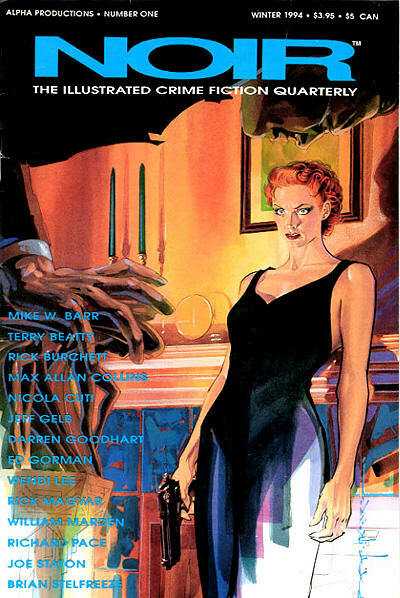 15 · Centennial · William F. Nolan · ss Hardboiled #19 1994, as A Centennial Interview with Dash Hammett [Dashiell Hammett]; described as an article but is a conversation with the ghost of Hammett. There was no issue numbered v2 #1. Details taken from Table of Contents. 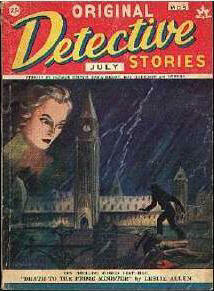 --- see under Sure-Fire Detective Stories. Short-lived Canadian digest publishing original stories by local authors. Voyageur Press; R.R. 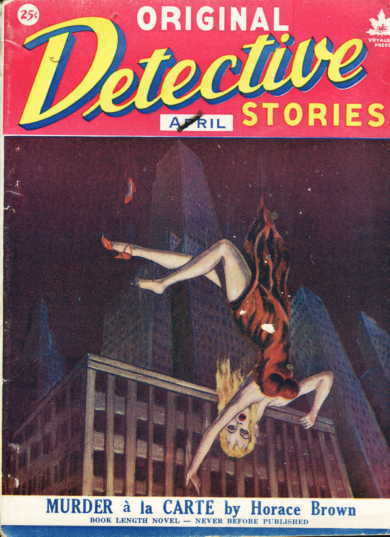 #2, Pickering, Ontario: Original Detective Stories, Apr 1948. 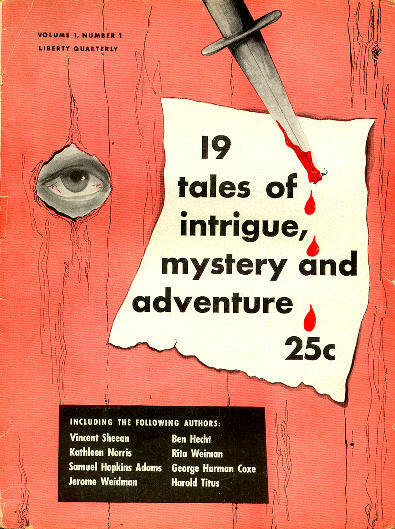 Rouge Hill Press; Pickering, Ontario: Original Detective Stories, Jul 1948. 3 · Murder à la Carte [Squire Adams; Baldy Cleary] · Horace Brown · n.
Subtitled The Modern Journal of Pulp Fiction and Degenerate Literature, and concentrating on crime fiction with a degenerate edge. 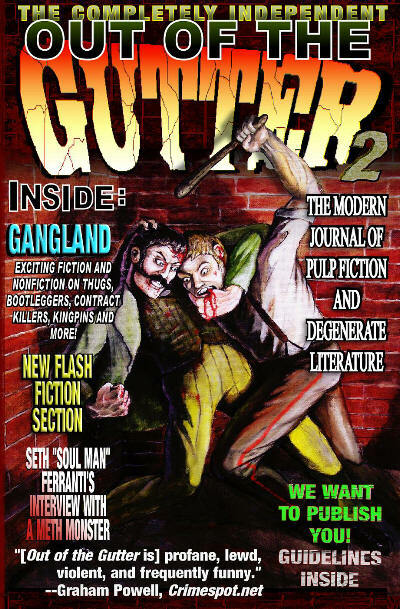 Website: outoftheguttermagazine.com. Subtitled The Gangland Issue. Details supplied by Matt Louis. Subtitled The War Is All Hell Issue. Details supplied by Matt Louis. Subtitled The Hard Times Issue. Details supplied by Matt Louis.